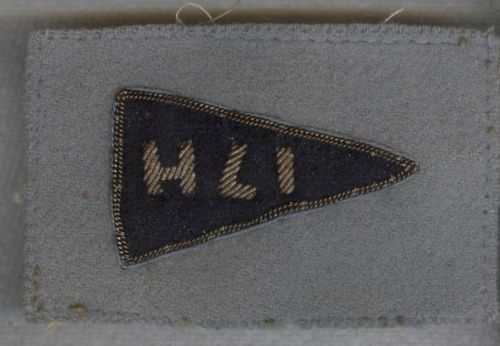 Re: HLI 3rd division patch/flash? It is shown upside down. It is 17 H, the recce regiment of 3 CID. Officer's service dress pattern, not for everyday wear. RARE. Moved to the WWII section. I have never seen anything like this badge. Very interesting. I took the liberty of rotating this patch to the orientation Bill suggests is correct. Thanks Bill! Very informative...I thought it was a bit strange. I believe the eBay seller has corrected the listing. The seller listed the same item except right side up this time. He listed it at a very high price and said that to just bid on the existing item that had been listed with the badge the upside down. There had already been multiple bids at that point, and I guess he couldn't relist it. Perhaps someone here contacted him and told him his mistake. I guess it was quite rare as Bill mentioned...it went for a lot of money!! It is only the second one of two I have ever seen in 30 years of collecting. 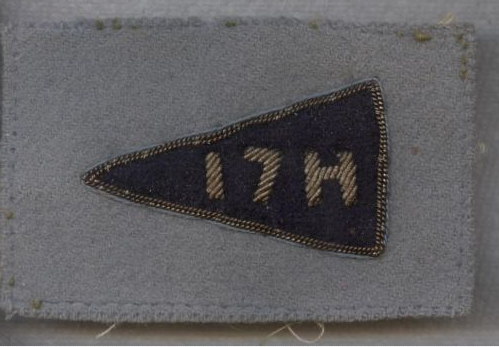 Even the rectangular 17 H patches are rare, but the pennant style more so. Like you mentioned, the above noted 3rd Div 17H flash was issued in opposing pairs like many other Canadian WWII Div flashes. ie: 2nd CID Totonto Scottish ---->, 6th, 7th, 8th Div's and as we both discovered the other month via this forum the 3rd CID Beach Landing Group flash all came issued in left and right facing pairs. Bill, do you have an example in your collection of the 17 H flash that is the basis of this thread? I am pretty sure I saw you had the more common Square version of this but cant recall if you have the triangle shape? Would it be safe to say the triangle shape with the wire bullion stitching would be indicative of an officers issue or variant? My understanding is that these patches with the imposed design, either rectangular or pennant shape, were only worn by officers. You could always sell me a couple thing to free up some cash to buy one. Just joking. Thanks for clarifying that both variations were worn by officers. 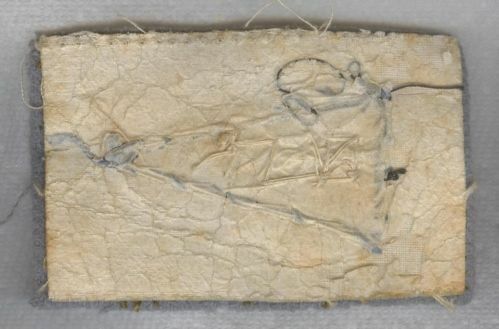 Bill, do you have any information on WWII Canadian Divisional flashes that have the slightly waxed paper on the back as the div flash does in this thread? I have seen a few with it over the years, I have a 1st CID, 3rd CID and a 5th CAD flash in my collection. I have always (in my own mind) attributed them to being WWII period and would dare to say mid war. They always seem to sell for more money than regular div flashes. Do you have any more information? Are they British made? Hi Ron, I have not come across anything that attributes the paper back patches. They seem to be of a better quality than the authorized patterns, so they were probably private purchase. I would agree they seem to be of better quality, it is amazing that the paper even survives after so long. I would love to learn more about them if you ever discover any information.